Summer arrived early this year and it’s August in June here in South Texas. Help your worms beat the heat with a few tips. Ice bottles. Partially fill plastic bottles w/ water and freeze. 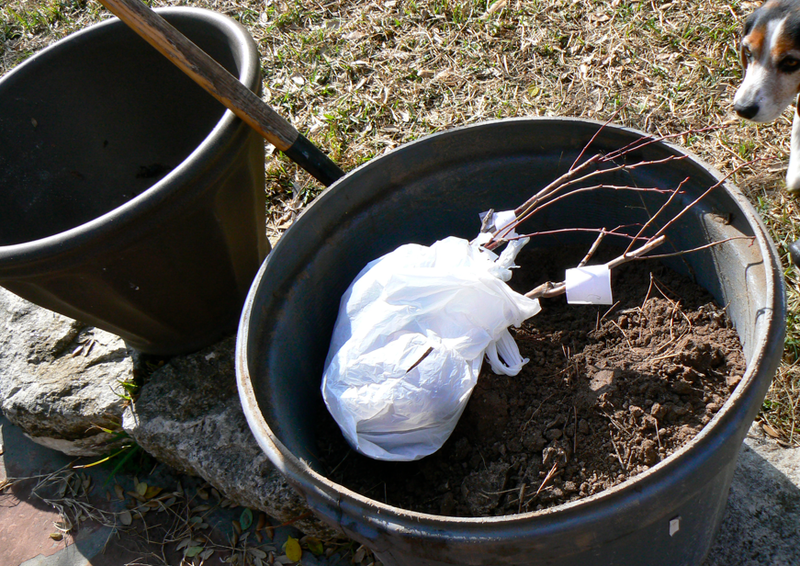 Add frozen bottles to your worm bins in the morning. Pick them up and re freeze overnight and repeat. Shade. If moving your worm bins in doors is not an option add shade cloth or move to a shady area. Especially from the afternoon sun. 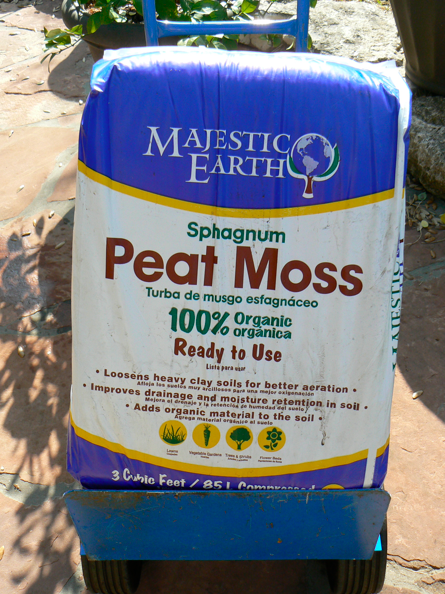 Keep moist- Add a drip line and/ or keep beds covered w/ mulch or old rug. Covering will protect worms and help keep in moisture. Add insulation – add more bedding and in ground beds are a couple of ways to keep things from heating up and keep your worms happier in the heat. 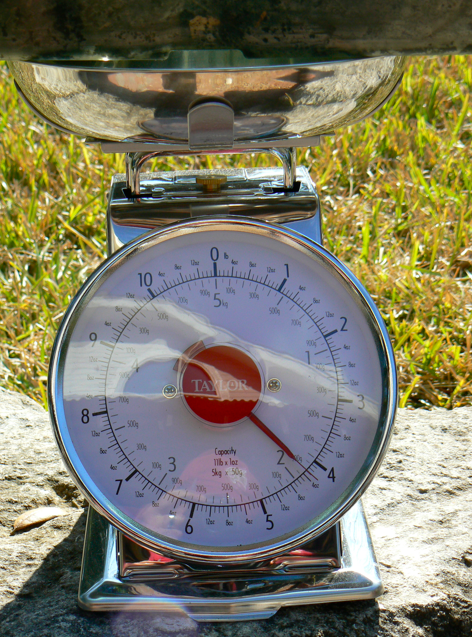 These are a few tips to help get your worms through the summer. Share any ideas or successful hacks you’ve come up with in your part of the world. I just received my blueberry shipment yesterday, and was anxious to plant. 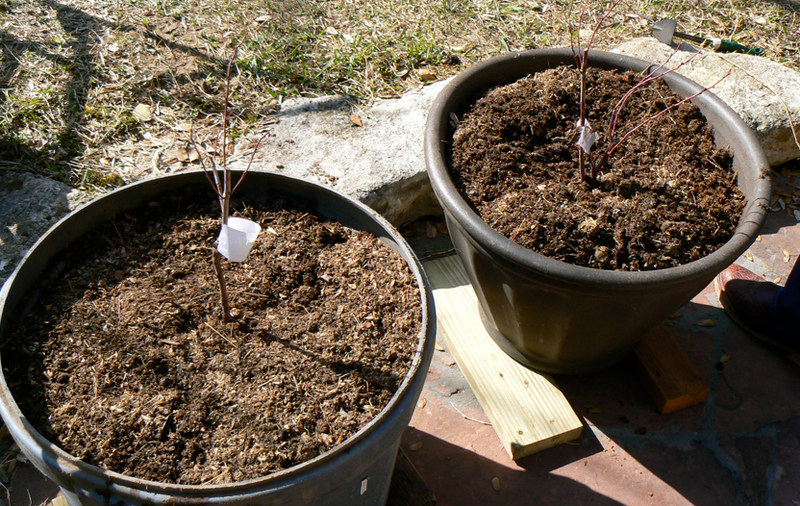 I ordered 14 blueberry 2-3 foot tall plants (climax, premier, brightwell, and delight varieties). 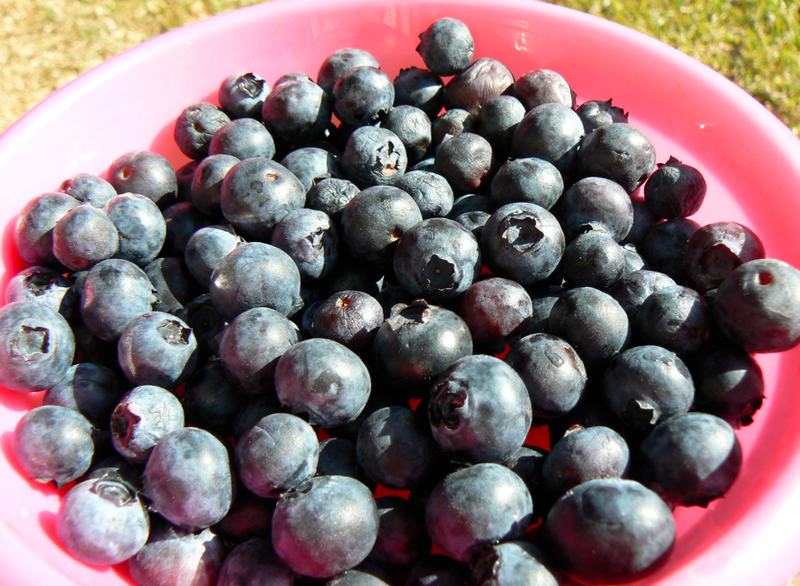 Blueberries like a little acidity and do very well in the southeast Texas well drained sandy soil. We will put most of the plants in the ground in Livingston, but I wanted to have a couple here in San Antonio in pots. 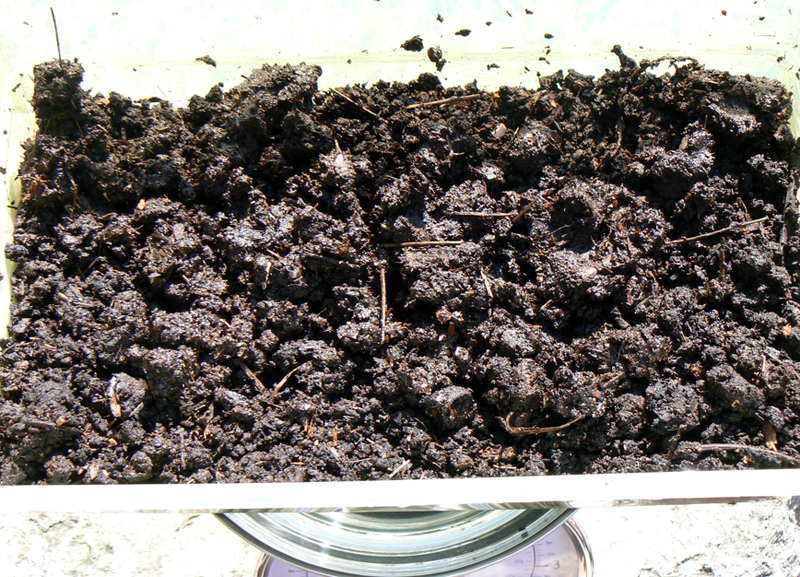 My blueberry potting mix: Sandy southeast Texas soil, peat moss, worm castings, and finished compost. For the two plants I split 4 lbs of Texas red worm castings that I placed near the roots, not mixed like the other components. 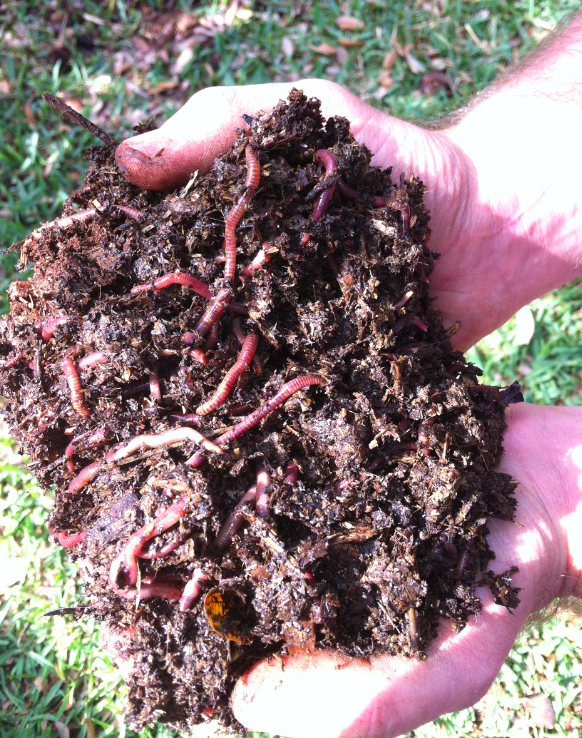 Worm castings are an outstanding fertilizer to support root growth and development. These plants should produce a few berries early this Summer, but we will pick them early to yeild a better crop in the second year. I chose a large container, and repurposed an empty syrup tub that we use to feed cows. Better yields, better tasting fruits and vegetables are the result when you fertilize w/ red worm castings. 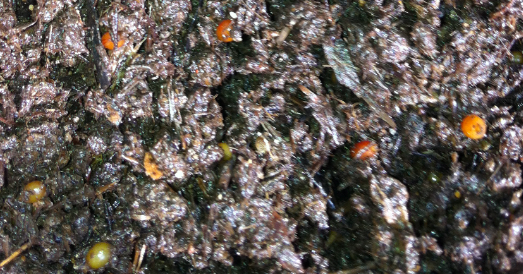 Worm castings contain loads of calcium, phosphorus, nitrogen, and potassium. Other micro and macro nutrients are present that support and develop superior root structure, to plants fertilized w/ commercial fertilizer. 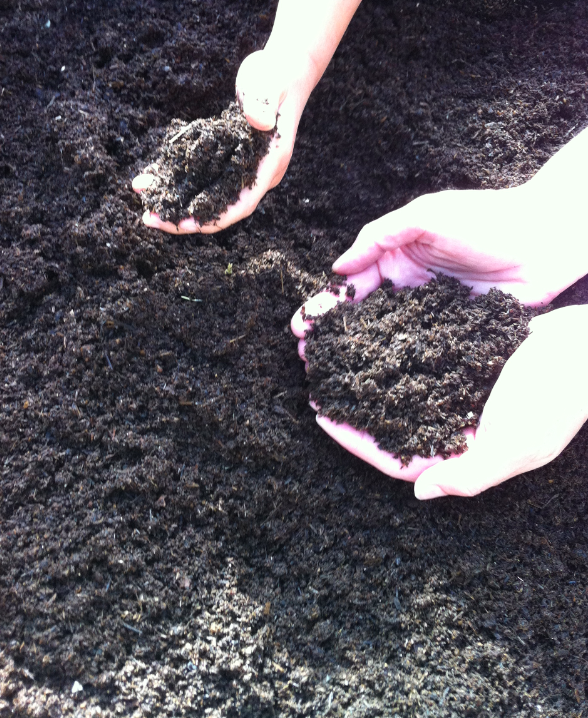 Even though highly concentrated, worm castings will never burn plants like synthetic fertilizers can. 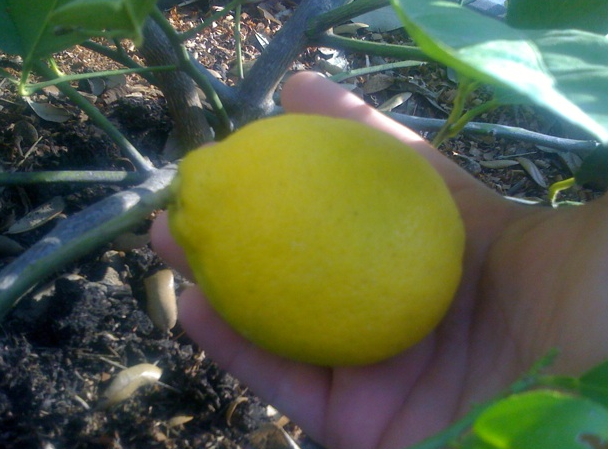 Benefits of fertilizing with worm castings include healthier plants, healthier fruits and vegetables, and cost savings.